This week we attended the MIT CIO Symposium and, as in previous years, found it thought provoking, inspirational, and actionable. We want to share some interesting comments from a keynote CEO panel. A leading factor preventing IT from innovating and moving the core to the edge is the organization of IT. Most IT “organizations are structured like the military.” There is a clear command and control structure with a specific ration of managers to staff. At Google they operate with 60 staff members being managed by one manager. In order to break old habits, IT will need to redesign itself and think about using new techniques for communication and accountability. At a different session, the question was asked how “Gen-Y” employees want to work. A CIO said he didn’t know, but he looks at his 16 year-old son playing Xbox and maybe has a clue. His son is playing a game where he is the leader of a team of virtual people (soldiers). The people are real and located all around the world. His son is able to organize the team, establish productive real-time communication, enable a virtual command and control structure and win the battle. Pretty impressive for someone who hasn’t graduated high school. In a discussion about talent management, one CEO stated he no longer reads resumes before meeting someone. He claims a resume is simply “person branding,” and doesn’t tell you much about the person. The CEO will read the resume after the interview, only if he likes the candidate. A highly provocative approach. The conference was fantastic and this panel was ideal as a kick-off for many panels and discussions around the role of IT and the need for technology-driven business innovation. As a trusted advisor to CIOs and their staff, we often hear the dirty little secrets. We call it the “close the door moment.” We know when a client lowers their voice and says, “Would you please close the door?” we are about to hear what’s keeping the client awake. What the client was asking was how to mitigate risk in the buildout. This is a perfect example of where external services are of benefit. We are in data centers nearly every day. From 500 square feet to 50,000 square feet and beyond, this is one of our core areas. We assist with the processes, oversight, management structures, systems migrations, etc. Obviously this client had architectural/structural/construction resources, and none were familiar with risk mitigation during construction and on to operation. 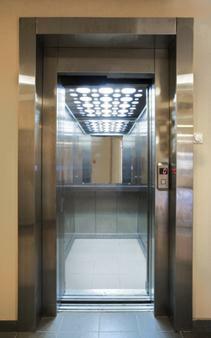 Clearly adding an elevator shaft to an operating data center presents challenges in construction dust/debris, vibration, EMI of the running elevator, security, cooling, power, network, etc. By bringing to bear our perspectives garnered over many data center expansions, we delivered a risk mitigation plan allowing construction and operation to continue, while also adding some facility improvements to create an overall better data center for this client. From the client perspective, construction in and around the data center was a very scary thought. Because we help numerous clients, we had the skills and knowledge to help the client on a very efficient basis. The CIO knew he needed help, and did not hesitate asking for help early in the construction process.